It helps if your child discovers a picture of a toy in a catalog that you never could have anticipated said child would desire in a million years. Bonus points if it has to do with a character or theme he has never encountered before, and a jackpot bonus if he doesn't fully understand how the toy functions. Spend a lot of time questioning why he would want such a thing and what he would do with it. This will keep the focus on the device and make it even more desirable to him. We need a little Christmas right this very minute. Hauling your child to the local church that does a live nativity will make all those family devotions about the birth of Jesus you've been reading aloud seem so much more vivid. The real camel more than compensates for the yawning Mary standing by the faux donkey. You point out all of the similarities between the carefully planned nativity and what life was like that night in Bethlehem. It is all going great, and then...SANTA! WHAT? There is a live Santa at the end of the Nativity. He waves. Did he come as part of the live animal package? You hope your child doesn't ask too many questions about that and he obliges, because he is in shock, too. He is still talking about that toy. It never goes away and comes up at least once a day. It is the only thing he really wants, and you could buy him the moon but he wouldn't care. You missed all the best deals on it already and so install yourself in a part time position of tracking the ever changing availability and price of this crazy thing. The church caroling list is a little thin this year and they are looking for a few more recipients of Christmas cheer. You feel bad about the old man who lives alone across the field. You still feel a twinge of guilt about the cookies you fully intended to bake and bring him last year, but never did. Ignoring the half dozen "no trespassing" signs that line his driveway, you knock and discover that no, he doesn't want your songs or fruit basket. He is a Jehovah's Witness. He seems relieved that you immediately understand and he doesn't have to explain it all to you. You have somehow managed to pull off a reverse JW visit where you knock on their door instead of them coming to you. Surely there is a name for this. Congratulate yourself and get back in the car. Each year you try to bless someone in an unexpected and often anonymous way. You have your eye on a widow who has come to your rescue more than once, and would like to slip her an unexpected gift. Things are tight, and you need to kind of raise the money to do this. Out of context, the verse about giving someone your cloak comes to mind. It doesn't apply, and yet it does. The gently used winter coat you have been trying to sell on the local yard sale page has languished for months. If you dropped the price to just the amount you need, maybe it will sell. Maybe God will move it. You do, and He does. Within a couple days, you have your money to bless your secret sister, and instantly the gift you want to give another was a gift also meant for you. In that instant, it feels like Christmas. I don't do a lot of spectacular baking for the holidays, although I do a lot of baking. I have my routine of standards that my family looks forward to every year. Near the top of my list are my soft and chewy gingerbread cookies. I've been told more than once that these thick cookies are a winner, and have been asked for the recipe many times. 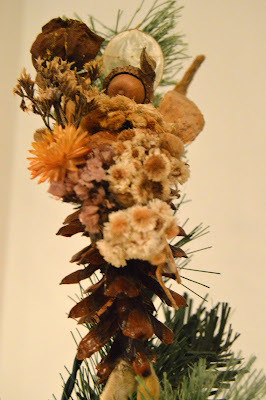 Best of all, the Little Mister asked to decorate them again this year, and I loved that he remembered. Warm molasses in a saucepan or microwave, but do not boil. Remove from heat and stir in butter until melted. Let cool. In a large bowl, whisk together flour, baking powder, salt, baking soda, ginger, cinnamon, and brown sugar. Add molasses mixture and egg. Mix well. Divide dough into two equal portions and wrap in plastic wrap. Refrigerate at least one hour, or until dough is stiff enough to roll with rolling pin. Preheat oven to 350. Line cookie sheets with parchment paper. Place one half of dough between plastic wrap and roll out to 1/4" thickness. Refrigerate one half of dough while rolling out the other half so the dough is kept cold. Cut with cookie cutter and place on prepared cookie sheets. Bake 12-15 minutes and cool completely on racks before decorating. 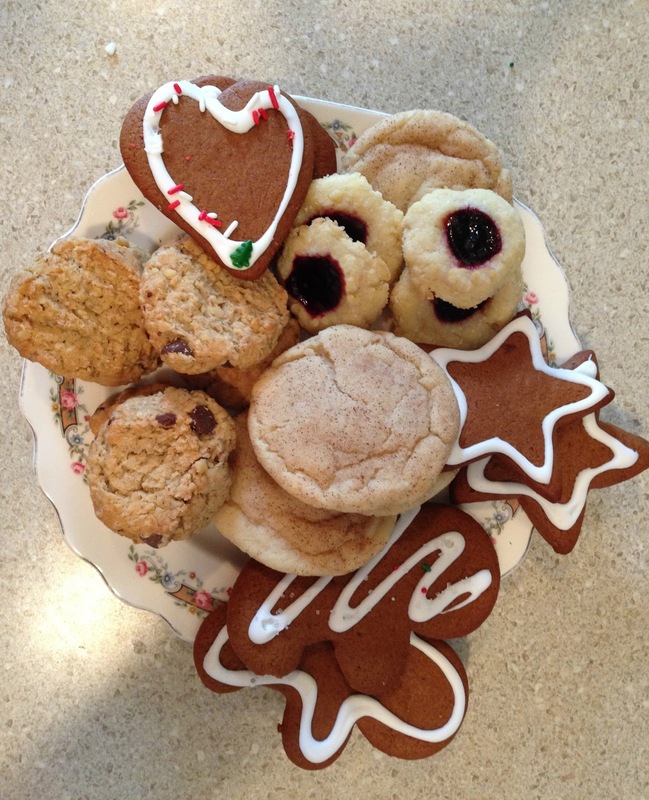 Gingerbread shown here with other classic cookies; Snickerdoodles, Thumbprints, and Oatmeal Chocolate Chip. Oh yes, I don't think there are any food restrictions but it's the spirit of eating in celebration of something that might be a problem. I'm just guessing he wouldn't want Christmas cookies any more than a birthday cake. What a wonderful thing! My resolution for the coming year is to move more out of my shell and help others more. The cookies look wonderful, and sweet little Mister- I hope the toy doesn't disappoint. Blessed Christmas to you and yours! I just love your blog! I wish I could remember to come back to visit in a timely fashion. This one and the last would have been extremely inspiring as I approached the holidays :-) I managed to keep everything humble, sort of... It helped to focus more on the Word and associated music and less on the Hallmark channel on TV. I haven't started my baking. Seriously. I decided to do my cookie baking the whole month of January, to make use of the oven warming my kitchen. It was much too warm in December to bake. Of course this means I'll have to put off my usual wintertime diet. 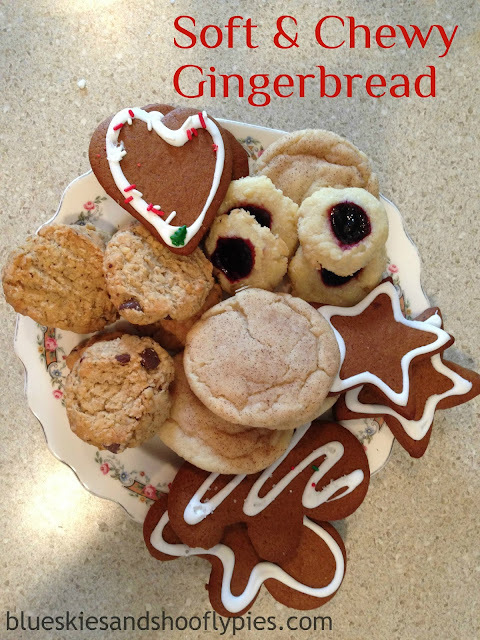 :-) I'll let you know if I make those gingerbread cookies! Peggy, if you want to keep up you can subscribe by email and I'll arrive in your inbox twice a month. However, I also have a hard time remembering to visit my favorite bogs in a timely manner. We still did some Christmas cookie baking this week. It only makes sense since the children in our family love decorating them so much. Have fun! I almost envy that you are starting it now. I already miss Christmas.